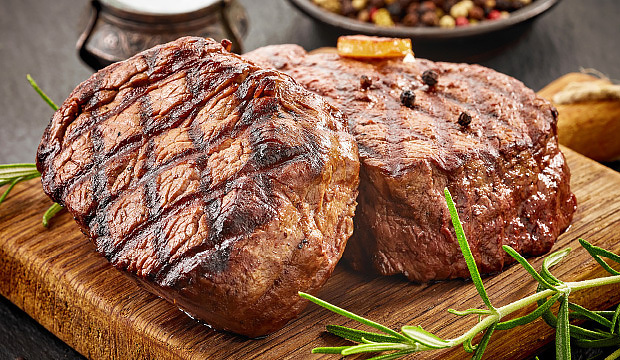 At Edwards, we provide you with simply the best meat cuts to be found in Northeastern Colorado. Our full service case is designed with you, the customer, in mind. You can choose whatever option of beef, pork, chicken or seafood you like and we will wrap it the way you choose. We serve only choice grade or higher beef from our counter with a good portion of those cuts being Premium Sterling Silver Beef - simply some of the best beef money can buy. We also serve only Hormel Natural Choice Pork Products for some of the most succulent Pork Products available. If you don't see what you're looking for, just ask one of our professional Meat Cutters. We can provide you with almost all of you custom cuts that your heart desires, including our famous Marinated Prime Rib - simply perfect for those holiday events or those family get-togethers. Give Edwards Meat Counter a try, you won't be disappointed!